My current project is a small mobile game that is an vertical endless runner. You charge-jump through the world trying to climb up by landing on one of the platforms. Each jump costs energy that you can refill by collecting yellow energy-cells. If you run out of energy you lose the game. Standig on a platform for too long will drain your energy, too. This forces you to keep rushing through the world. 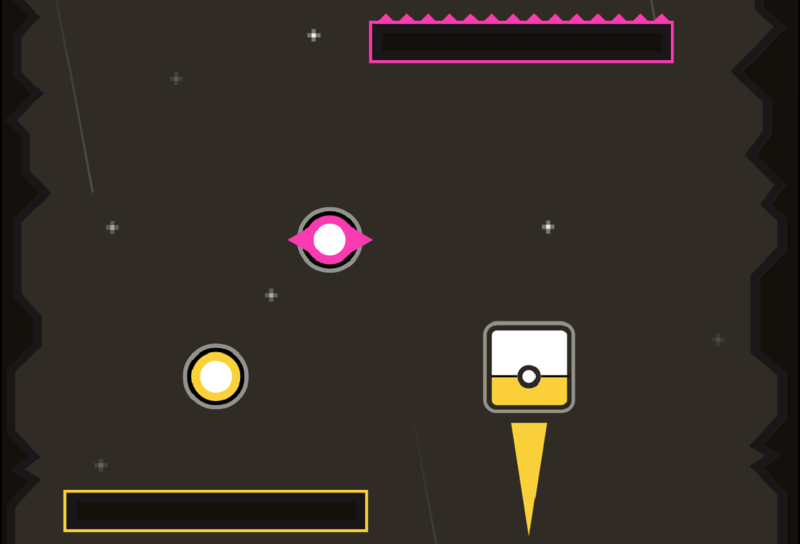 Lastly you should avoid the purple cells since they also drain alot of energy and could end your game quiet fast. The game is developed with the Unity engine and the graphics are made with the vector tool GravitDesigner, which I just discovered lately. This is the first time I use vector art to create game assets for my own project and I really enjoyed creating them. Here is a demo version of the game. This is still work in progress.